In a land far far away, lived a beautiful princess. She was the fairest in the land. But her wicked stepmother wanted to be the fairest. That's why she ordered a hunter to leave Snow White behind deep in the heart of the forest. So she could never find her way back. Not long after, the stepmother asked her mirror: Mirror, mirror on the wall who is the fairest of them all? And do you know what the mirror answered? 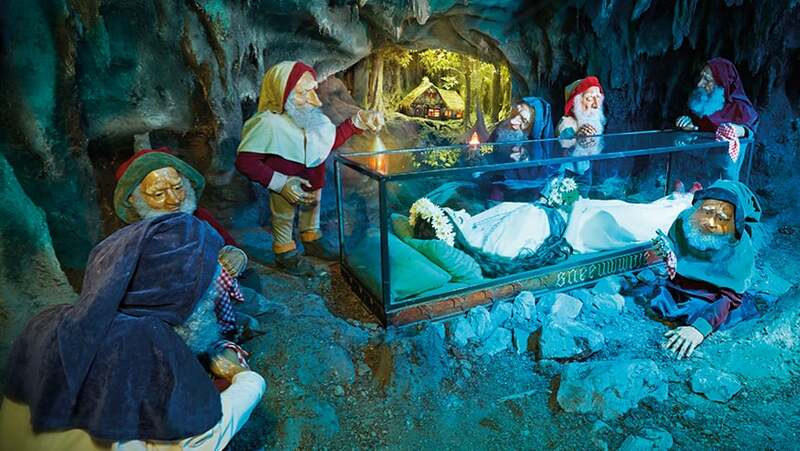 Did you know that Snow White has been in the Fairytale Forest since 1952?